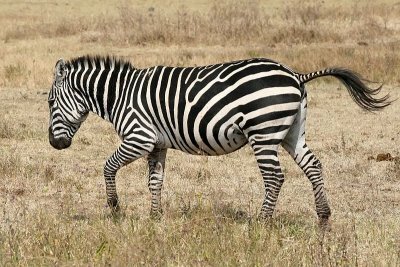 Answering the question, “Where do zebras live?” can be tricky for an individual who has never been in a forest. It is important to note that one of the most popular species of zebra is the plains zebra and it lives throughout Angola, southern Ethiopia, and South Africa. Tanzania and Kenya has at least eight to ten types of plains zebras. On the other hand, the Grevy’s zebras habitation areas normally range from northern Kenya to Ethiopia with a few species dwelling in Sudan. Mountain zebras are popularly found in Namibia and South Africa. All species of zebras are well-known for living away from each other. However, they usually graze together even though they do not interbreed. With the many species of zebra, few zebra species have advanced habitats in contrast to others. Plains zebras are one of them. Plains zebras typically live in extensive country grasslands, African trees, and African savannahs. Rarely, these kinds of zebras are known for living at elevations above 13,000 feet. Plains zebras stay away from dense forests and deserts and they live in shrub lands and grasslands. Mountain zebras cannot live beyond an elevation of 6,500 feet above the sea level. Nonetheless, these zebras prefer living in the mountainous slopes of South Africa. They also do not live in one place because of their nature of migrating from time to time. When the weather is hot, mountain zebras travel towards high-altitude places. They return during winter period. Some Grevy’s zebras are habitual in their migration in search of greener pasture as well. The largest zebra migration has been seen in Kenya and the Serengeti plains of Tanzania. One of the factors that drive zebras towards the Serengeti plains is its green nature. This migration normally makes them susceptible to predators such as tigers, lions, and leopards.